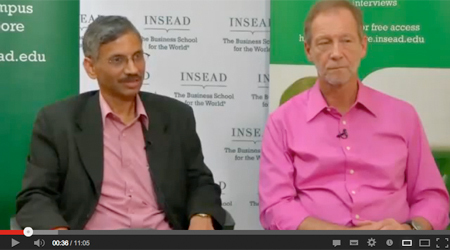 Prasad Kaipa, coauthor of From Smart to Wise and Roger Lehman, professor of entrepreneurship at INSEAD, share their vision of wise leadership in “The Wise Leader” (INSEAD, January 2013, 11:05 minutes). How can brilliant, effective leaders create truly global value? 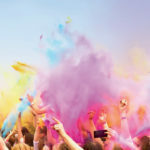 According to Navi Radjou and Prasad Kaipa, coauthors of From Smart to Wise (Jossey-Bass, March 2013), leaders need to leave their comfort zones. The authors divide good leaders into two categories: 1) functional smart leaders, who achieve success through expertise and attention to detail; and 2) business smart leaders, motivated by competition and the search for rapid growth. What the two have in common is a tendency to play up their own strengths. Even more effective than smart leaders, wise leaders have the humility and capacity for introspection that is indispensable to learning behaviors contrary to their natural dispositions, enabling them to develop the qualities attributed to both function smart and business smart leaders. This rare balance (the authors admit that few leaders achieve true wisdom) can only be achieved with constant concern for the common good, guaranteeing sustainable and global value creation. By Navi Radjou, innovation and leadership strategist and member of Businesss Digest’s advisory committee, and Prasad Kaipa, founder of the Centre for Leadership, Innovation and Change at the Indian School of Business, (Jossey-Bass, March 2013).